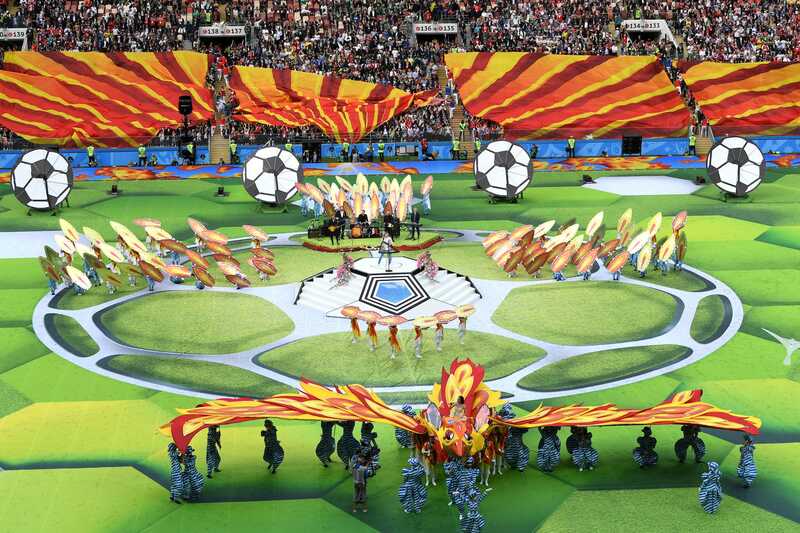 Shaun Botterill/Getty ImagesArtists perform in the Opening Ceremony of the 2018 FIFA World Cup in Russia. The waiting is over – the 2018 FIFA World Cup in Russia has finally begun. On Thursday, English pop singer Robbie Williams and Russian opera singer Aida Garifullina joined forces to deliver a memorable three-song concert ahead of the tournament’s opening match between host country Russia and Group A opponents Saudi Arabia. 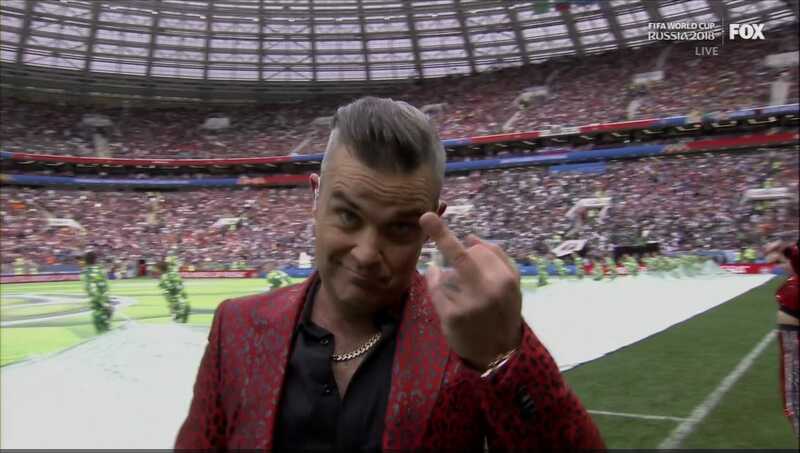 The opening ceremony had everything – from gymnastics and pyrotechnics to Williams giving the FOX TV camera the middle finger. Russian president Vladimir Putin even delivered a speech. 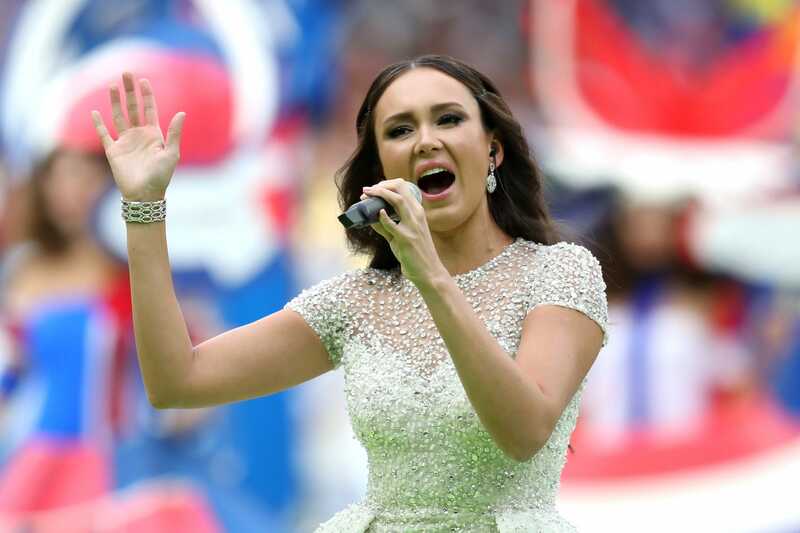 Check out all the best, most mesmerising, and controversial photographs from the opening ceremony below. 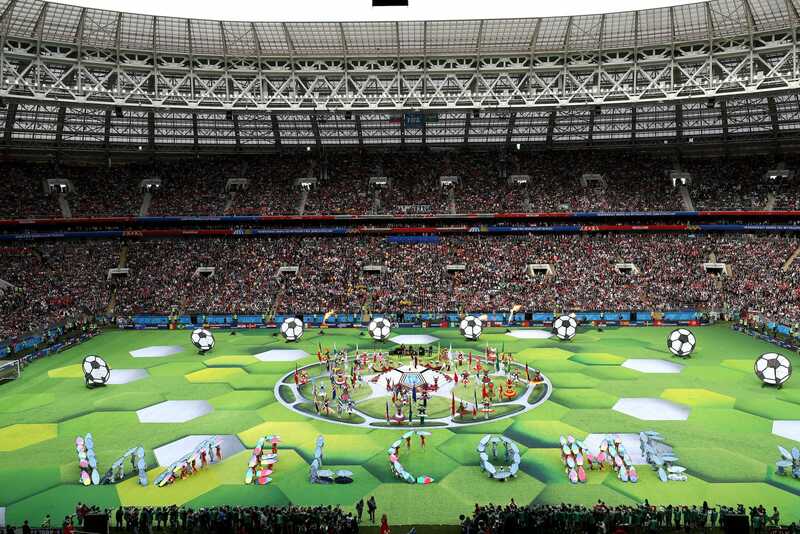 …and a close-up of the action looks even more impressive. 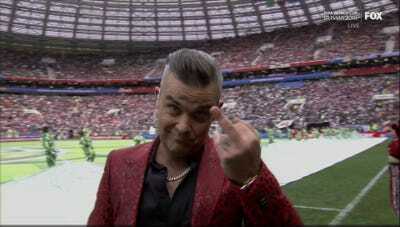 English singer Robbie Williams was a focal point of the World Cup opening ceremony. 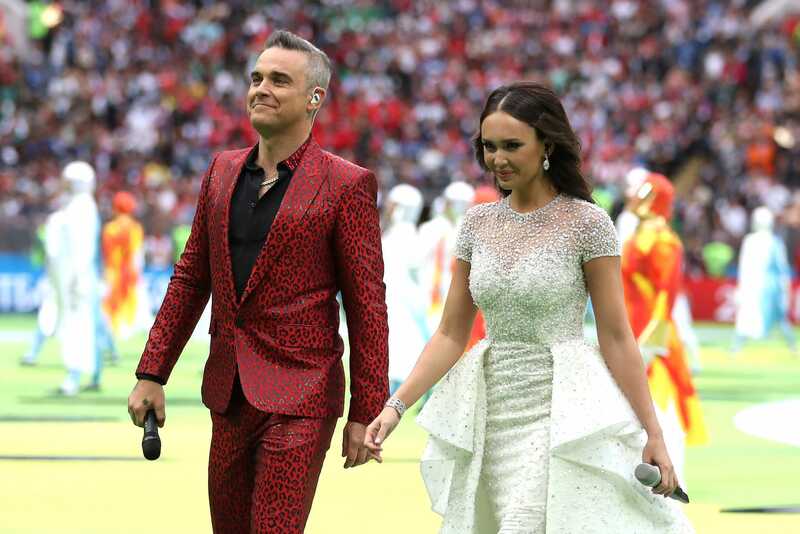 Before the event, he told ITV that, when he was a boy, he dreamed of performing in the tournament as a soccer player and that now he’s an adult, he’ll have to settle for singing at one instead. Williams got the party started with his smash hit single ‘Let Me Entertain You,’ rather than ‘Party Like a Russian,’ which was criticised in Russia for its stereotyping lyrics. 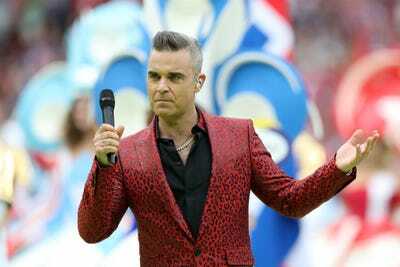 He probably made the right song choice on Thursday. 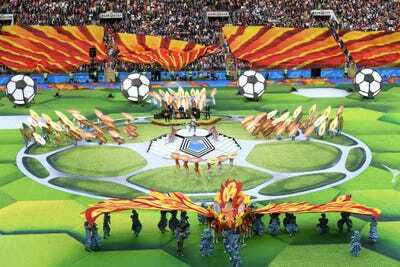 There was lots to look at, including gymnastics and pyrotechnics. 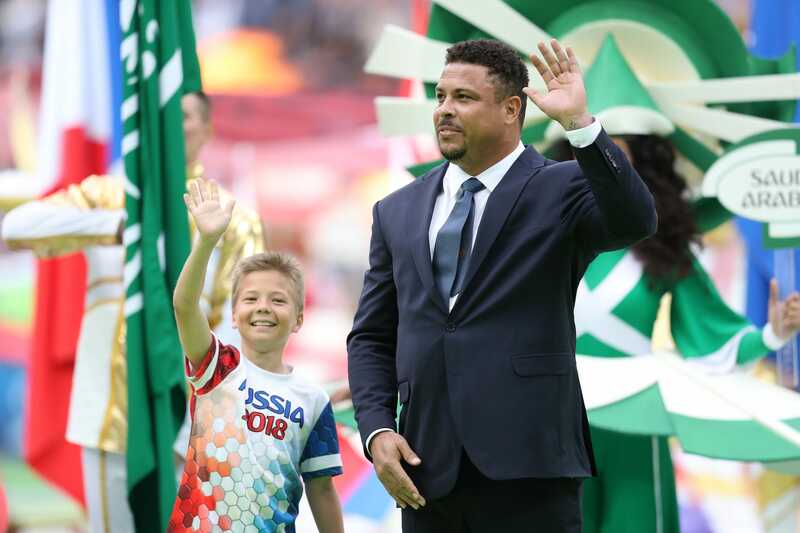 There was even an appearance from former Brazil striker Ronaldo, who won the World Cup in 1994 and 2002. In the middle of a jig, Williams flipped his middle finger at the camera. It is not currently known who the gesture was aimed at. 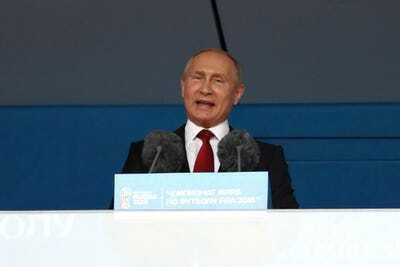 Once the ceremony was over, Russian president Vladimir Putin stepped onto the dais to deliver a speech. 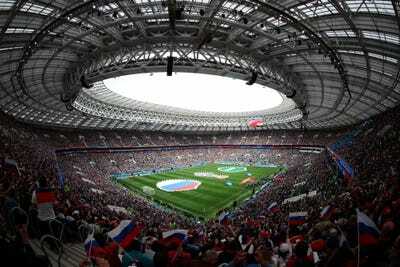 Putin’s speech was put up on the big screen and broadcast to the billions watching around the world. 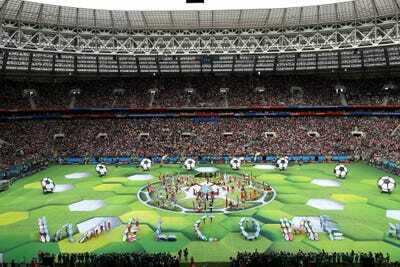 Once Putin and Williams returned to their seats there was only one thing left to do — let the games begin!